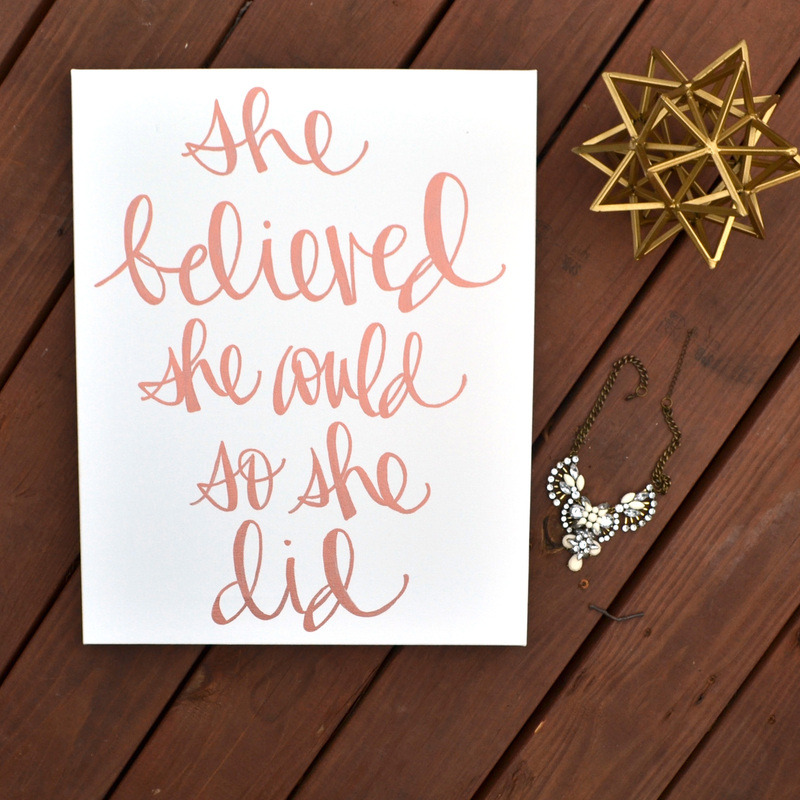 Rose gold is SO beautiful! 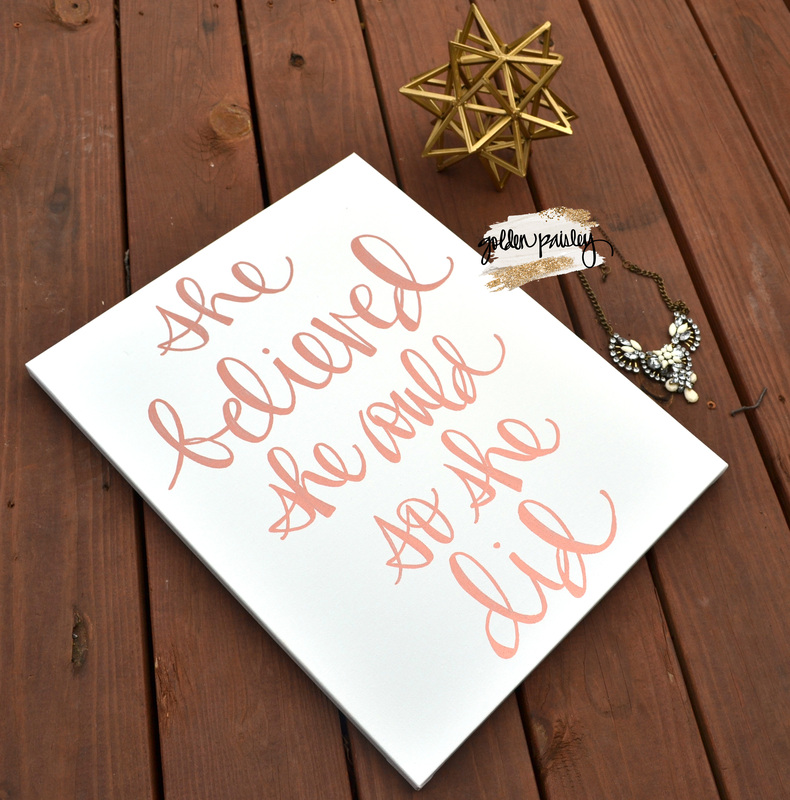 I am so excited to now offer rose gold as a text color! 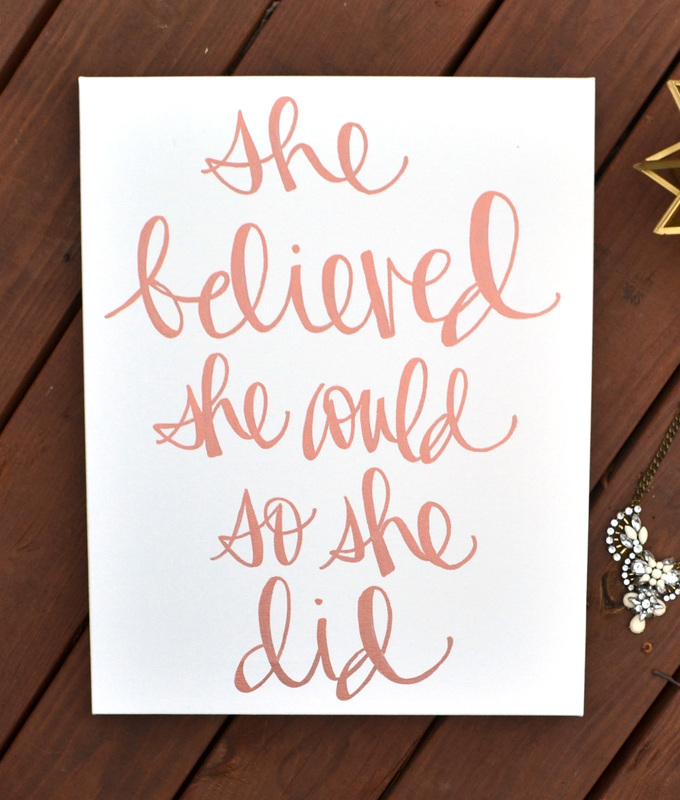 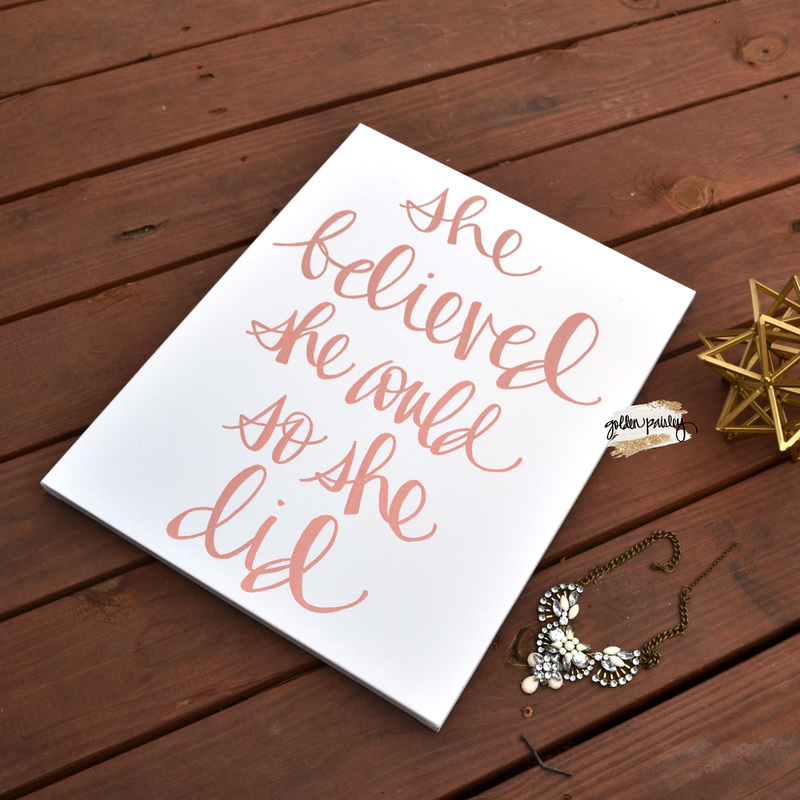 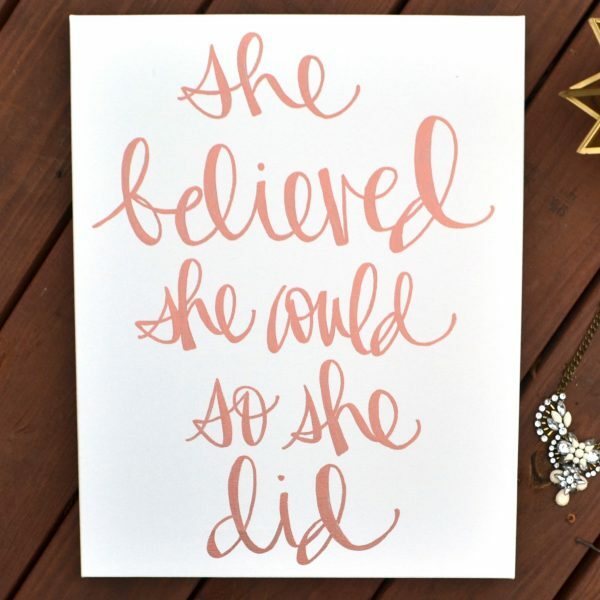 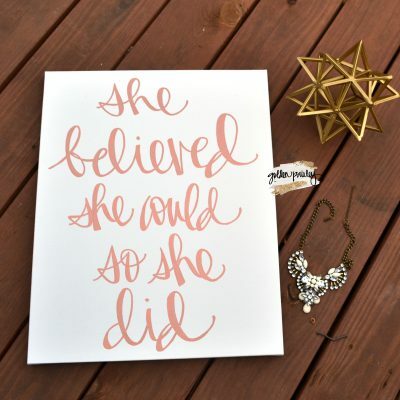 This canvas features the cute and classic quote “she believed she could so she did” hand lettered in my own handwriting in gorgeous metallic rose gold paint. 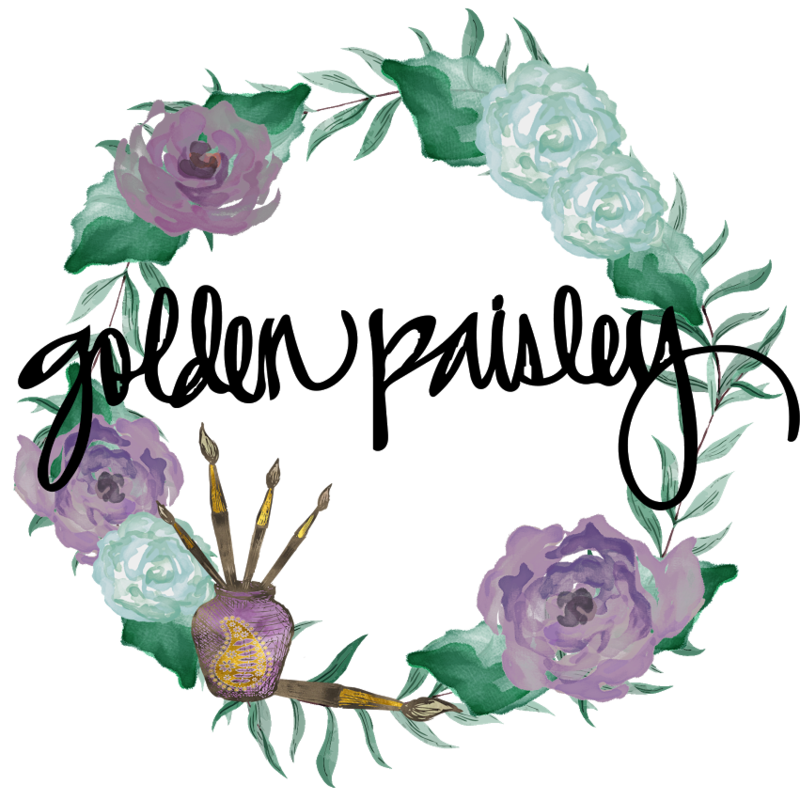 This painting is fully hand painted, not a digital print. This quote makes it perfect for a little or big girl’s room! Would make a great gift for that special girl in your life.